Zoom into a fascinating new world! Gain insights on a detailed level. GPS data on urban everyday cycling is hard to find. In fact it has to be generated. Of all survey methods GPS cycling data renders the highest density of information: exact route taken, speed, delays and even choice. It therefore provides the strongest foundation for infrastructure planning and policy. Real life cycling data is visualised on heatmaps indicating specific analysis of bicycle traffic. The features of Bike Citizens Analytics are designed to perfectly support urban planning and bicycle traffic planning. Demo version available now. Please use the contact form at the bottom of this page to request your free trial version or send a request by email. Do not hesitate to ask for further information by email. Available in German and English. Cycling data does not get generated all by itself. Why going digital with something – the bicycle – that works just fine as it is? Urban cyclists are more likely to record their journeys when the app also enhances their cycling experience – by added value, fun and rewards, or taking part in the city’s urban developement. Provide value for the bike users and they will record their journeys – for their own benefit. Navigation on bicycle friendly routes, information of first hand in the newsfeed, a community to interact with: That is how app users can benefit from recording their journeys. Challenges help to motivate people to use their bikes and to track their journeys. It is fun to collect achievements and earn badges. Even better when the digital game is taken into real life. The Bike Benefit System rewards people for cycling and supports local shops. Crowdsourcing campaigns like PING if you care! provide a platform for participation and interaction. App users can leave a GPS tag by the push of a button and describe traffic situations and spots within seconds. The campaign yields big results with little effort. 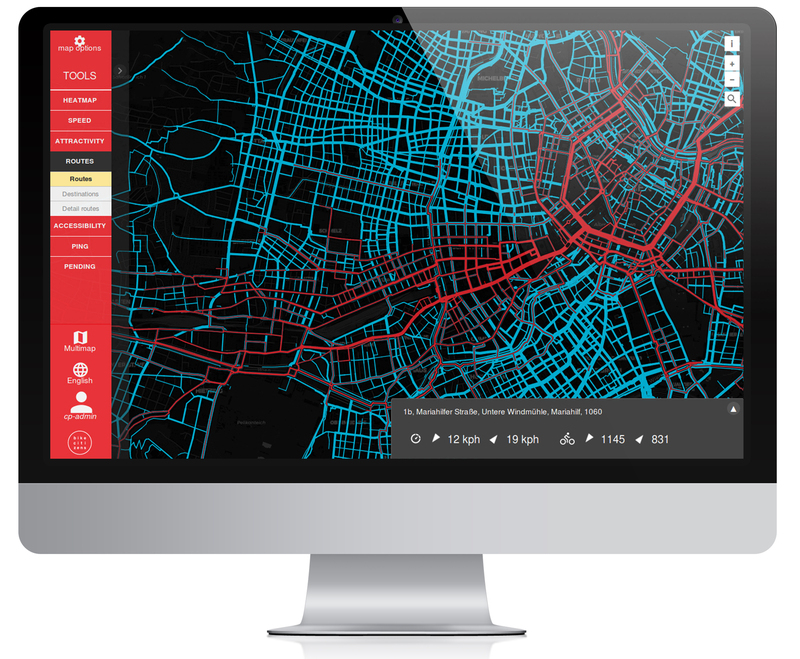 Traffic planners and urban planning experts all over Europe have recently tried the Bike Citizens Analytics demo version. Join these pioneers and request a free demo version! The features of Bike Citizens Analytics were designed with the aim to focus on the bicycle traffic and its framework conditions, meaning it takes into account the whole traffic infrastructure and its impact on the bicycle traffic. For more information, have a look at the features list and the description of the features.